I.S.P. 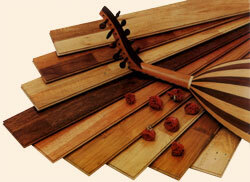 Ltd is the oldest and most professional company in the field of parquet flooring. The company specializes in the import, installation and maintenance of solid wooden flooring for private dwellings, businesses, commercial enterprises, industry, public buildings and sports halls. Other products of the company: Wooden Stairs, Decks, Squash Courts (Including Multi-purpose halls), Sports Facilities and Synthetic Grass. It all started with Squash... I.S.P. was founded in 1976 by two brothers, Hillel and Tzemach Bloomberg,immigrants from South Africa, with the aim of promoting the game of Squash in Israel. At that time, there were only a few old squash courts left over from the time of the British Mandate. Since 1976, I.S.P. has built over 95% of all the squash courts in Israel – a number exceeding 120, each with it's solid wooden floor. The experience and expertise that I.S.P. has developed from the building of squash courts, has made their name a household word in the laying of wooden flooring and as a result has brought in many requests for I.S.P. to lay parquet flooring. I.S.P. is involved in all.phpects of Solid Wood Parquet Flooring: Import and sales, advice and planning, supply, installation and maintenance. In addition, the company also supplies other coverings for sports floors. Amongst the company's clients are sports halls, public buildings, apartments and private houses, offices and Businesses. I.S.P. offers a single address for a project and accompanies the client through all of the various stages. I.S.P. has 30 years of experience in the laying of parquet flooring in Israel. And beyond: the company has participated in large projects both in Greece and Cyprus. I.S.P. has the sole representation for well known overseas companies. I.S.P's team will gladly be of service. ISP - P.O.Box 164 Kfar-Saba, 44101, Israel.